ARftA's mission is to advance the arts, arts education, and the creative economy in Arkansas. ARftA's purpose is to serve the people of Arkansas as an independent statewide organization providing leadership focused on the promotion and advancement of the creative economy, on transforming policy in arts education, and uniting the state into one voice with a call to action by policy makers to increase investment in the arts. Through regional meetings and solicitation of public opinion facilitated by the Arkansas Arts Council, arts supporters determined the need for a statewide arts advocacy organization. Arkansans For The Arts came Into fruition primarily through the efforts of Garbo Hearne (Little Rock) And Mitch Mitchell (Fayetteville), who founded ARftA in 2014. Hearne and Mitchell initially connected through their service on the Arkansas Arts Council Board and agreed that the state was capable of doing more to support the arts. After a bit of research and with assistance from Americans For The Arts, the pair discovered that Arkansas was one of only five states that did not have an arts advocacy network and quickly resolved to change this reality. After much planning, Arts Advocates Arkansas was launched and the pair began building the necessary infrastructure to support the organization. Hearne retired from the Arkansas Arts Council Board to devote more time to recruiting board members and building relationships with essential partners while Mitch served as Interim Director, handling the day-to-day operations of the organization. The Arkansas Arts Council provided initial funding for ARftA. 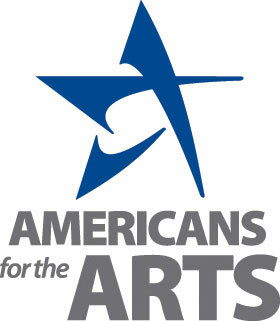 In 2015 Arkansas was selected by Americans for the Arts as one of 10 states to participate in a 3-year pilot project to promote and increase the availability of quality arts education ARftA manages this project with funding from Americans for the Arts and the Windgate Charitable Foundation, as well as from donors like you!